Pearson’s Law is straightforward and powerful. It provides a specific outcome to simply following its recommendation. What’s the consequence in not following Pearson’s Law? If you don’t measure, and more importantly, if you don’t measure and report back, what is the repercussion? Will your business performance decrease dramatically? What if you measure some things, some people, and not others? The moment you feel the need to tightly manage someone, you've made a hiring mistake. The best people don't need to be managed. Guided, taught, led-yes. But not tightly managed. We've all experienced or observed the following scenario. We have a wrong person on the bus and we know it. Yet we wait, we delay, we try alternatives, we give a third and fourth chance, we hope that the situation will improve, we invest time in trying to properly manage the person, we build little systems to compensate for his shortcomings, and so forth. But the situation doesn't improve. When we go home, we find our energy diverted by thinking (or talking to our spouses) about that person. Worse, all the time and energy we spend on that one person siphons energy away from developing and working with all the right people. We continue to stumble along until the person leaves on his own (to our great sense of relief) or we finally act (also to our great sense of relief). Meanwhile, our best people wonder, "What took you so long?" Letting the wrong people hang around is unfair to all the right people, as they inevitably find themselves compensating for the inadequacies of the wrong people. Worse, it can drive away the best people. Strong performers are intrinsically motivated by performance, and when they see their efforts impeded by carrying extra weight, they eventually become frustrated. Waiting too long before acting is equally unfair to the people who need to get off the bus. For every minute you allow a person to continue holding a seat when you know that person will not make it in the end, you're stealing a portion of his life, time that he could spend finding a better place where he could flourish. Indeed, if we're honest with ourselves, the reason we wait too long often has less to do with concern for that person and more to do with our own convenience. He's doing an okay job and it would be a huge hassle to replace him, so we avoid the issue. Or we find the whole process of dealing with the issue to be stressful and distasteful. So, to save ourselves stress and discomfort, we wait. And wait. And wait. Meanwhile, all the best people are still wondering, "When are they going to do something about this? How long is this going to go on?" 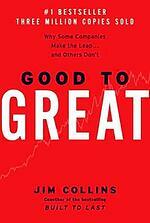 These three paragraphs from Good to Great are probably the most difficult for most leaders/managers to follow. Measuring performance, staying objective is absolutely necessary to prevent the emotional creep that frequently clouds judgement. I’m not equivocating subjectivity and emotion as unessential elements of management/leadership. Decision-making, hiring and keeping the right people, Is fundamental to building your business. Hard decisions require measurement. If all your people are not being measured to some standard, it’s very likely you have morale/culture problems. 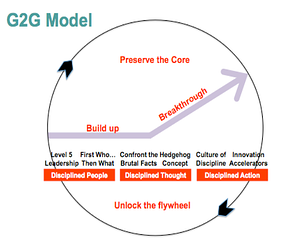 Jim Collins notes, "A culture of discipline is not just about action. It is about getting disciplined people...who engage in disciplined thought and...who then take disciplined action." Asks yourself how well your business is doing exactly that? 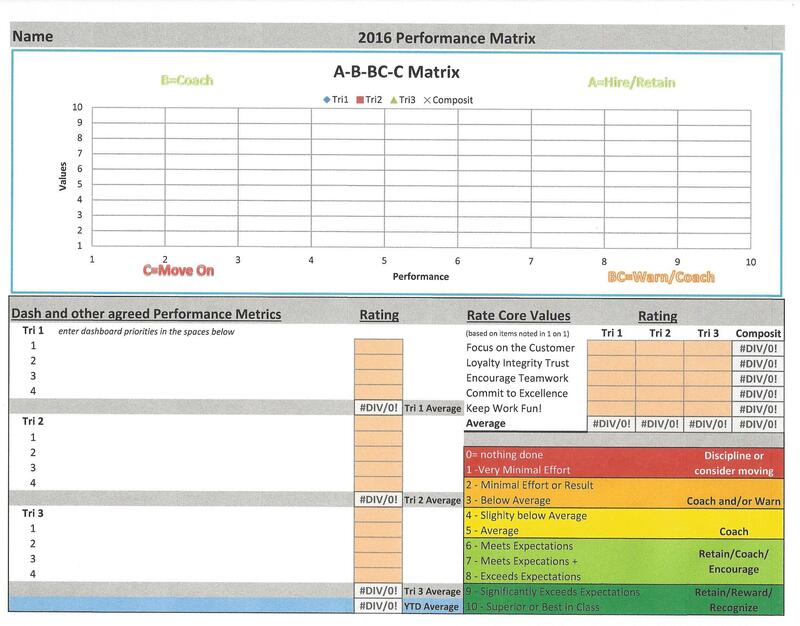 If you don’t measure your people’s performance, require them to have an individual dashboard to track their performance, please read Your Hiring Batting Average – The NFL Draft Standard to discover how to develop a matrix based on performance and living your core values. Plan to attend Scaling Up Business Growth Workshop in Cedar Rapids, IA. We’ll share ideas on company and individual dashboards, and our Scaling Up and Strategic Discipline principles. 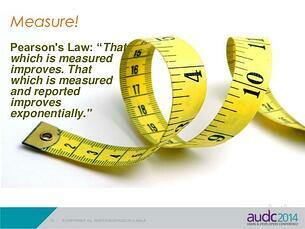 If you’re looking to apply Pearson’s Law to develop your business, contact dwick@positioningsystems.com. 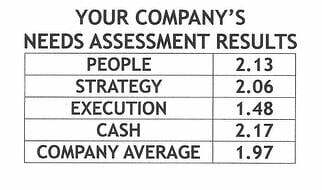 Or take our Four Decisions Needs Assessment to discover how your business measures against Scaled Up companies. Then we’ll contact you. I’ve now seen three friends of mine lose their jobs as they neared the end of their careers. I shared one of my stories in It Starts With the Right People. This morning I shared the idea for this blog with my friend, Advanced Hiring Systems owner, Alan Fendrich. He provided a viewpoint I’d not considered. “You don’t fault company’s for eliminating high salaried people when they can find lower compensated individuals who can do the same work do you?” Alan asked. I couldn’t disagree. He’s second point however dealt a more personal blow. He said to him, these instances sounded like the person being let go wasn’t liked. He shared a story of an employee who worked for him for some time. He was personable and did an adequate job. His attitude changed about this gentleman, when one day he told him a story. While in he was in the service, he had transported a friends wife to the base her husband was transferring to. On the trip there, he and the man’s wife apparently had a fling. The man’s morals and hubris affected Alan. When it came time to make a decision on his continued employment, the likability of this person placed his future in jeopardy. Did my friends lose their jobs due to lack of likability? I certainly don’t know. I hope not. 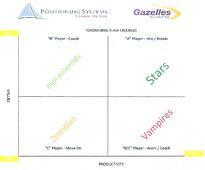 Likability has probably had more to do with keeping a job than a performance matrix in more than one case. I’m not arguing that it should be that way, just pointing out an apparent fact in business. What if everyone in your company had an individual dashboard to focus their performance on the company’s quarterly Priority and their specific positions performance objectives? What might that mean for your businesses performance? What if your bank visited your office and discovered every person in your business had individual dashboards to track their performance at their desks? That story next blog.